In today’s post, I’ll focus on giving you step-by-step instructions for completing a metadata backup from Workbench. First things first: you’ll need to have a package.xml file in order to pull your metadata backup from Workbench. You can use this Heroku app to generate your package.xml file: https://packagebuilder.herokuapp.com/. 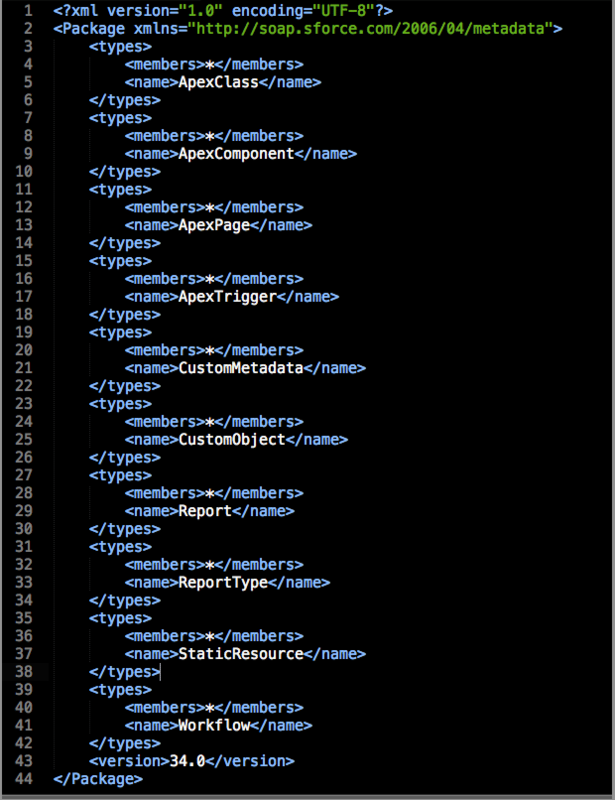 And for more information on package.xml files, and why they’re so important, here’s a helpful Salesforce link: https://developer.salesforce.com/docs/atlas.en-us.daas.meta/daas/daas_package.htm. The package.xml file can be used to retrieve records for all types of metadata in Salesforce. If there are no records for a specific metadata type, the retrieve will still pass, it just will not include those metadata types with no results. Note: You cannot use an asterisk wild card to work with all standard objects; each standard object must be specified by name. In addition to the Heroku app I list above, there are other options out there to help you get a list of your metadata, like Sublime Text and Mavensmate, or this Salesforce Toolkit. Apps like these will help you generate a full or partial package.xml file, depending on your needs. Now keep that package.xml file handy as you follow these step-by-step instructions for completing a metadata backup from Workbench–you’re going to need it. Steps 2 & 3 above: Choose the environment type and API version before logging into Salesforce. Note: If you’re currently logged into Salesforce in the same browser in which you have Workbench open, you can skip to the next step. Log out of other orgs if you do not want to use Workbench with them, or open Workbench in another browser. Step 7 above: Add your package.xml file as the Unpackaged Manifest. Note: The page will continue to refresh until the request passes or fails. Step 12 above: Process Status UI displays the status of the operation and will provide a link to the package to download upon success. Are you new to using Workbench for metadata backup? Let us know how it goes in the comments here or via Twitter. 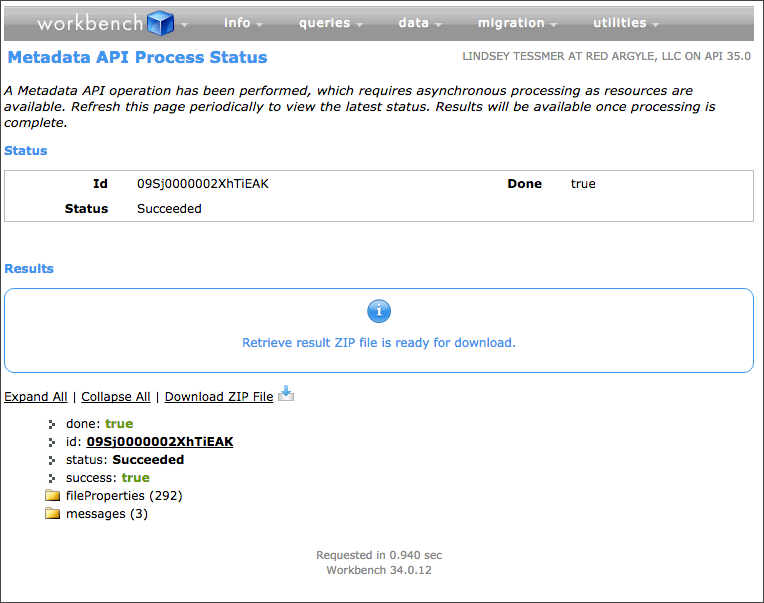 And for more information on using Workbench, be sure to check out this blog post from Tom. I hope you’ll find this guide helpful!